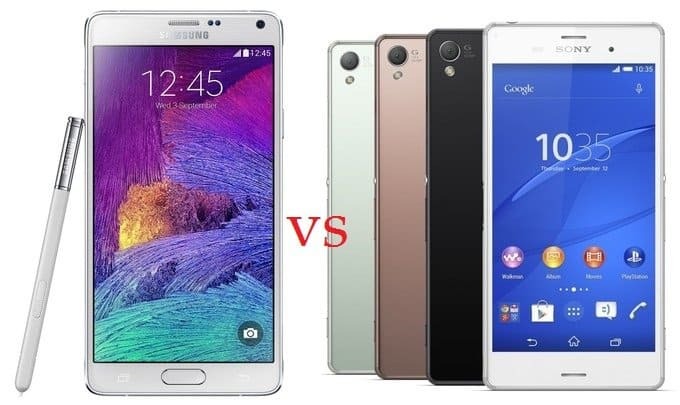 Samsung Galaxy Note 4 vs Sony Xperia Z3 : which Smartphone to choose? Which smartphone to choose? whether the Samsung Galaxy Note 4 or the Sony Xperia Z3 ? At the recently conducted IFA 2014 event of latest gadgets releases, we saw one of the most anticipated devices Samsung Galaxy Note 4 and also Sony Xperia Z3. 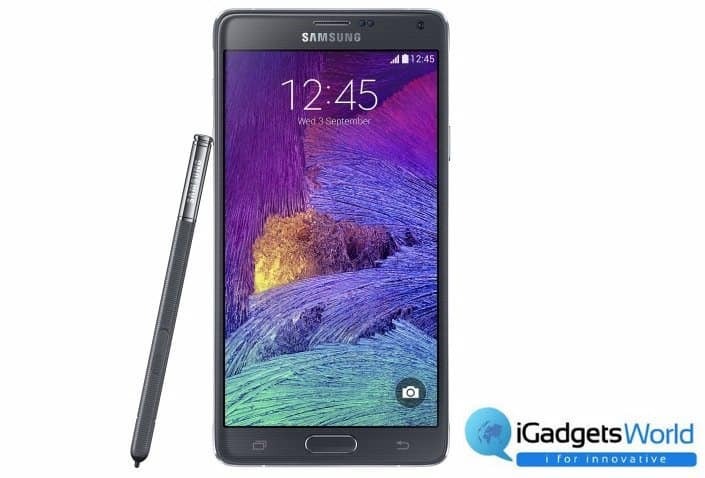 There was a huge buzz for the release of Note 4 following the previous launch of Note 3 which had added many S-Pen features, big screen, hence larger display and screen resolution following which Galaxy S5 released too with great hardware additions like the Fingerprint scanner and the Heart Rate Scanner. After all these things we expected a Galaxy Note 4 which would bring more improvements to the previous models and also few new additions. 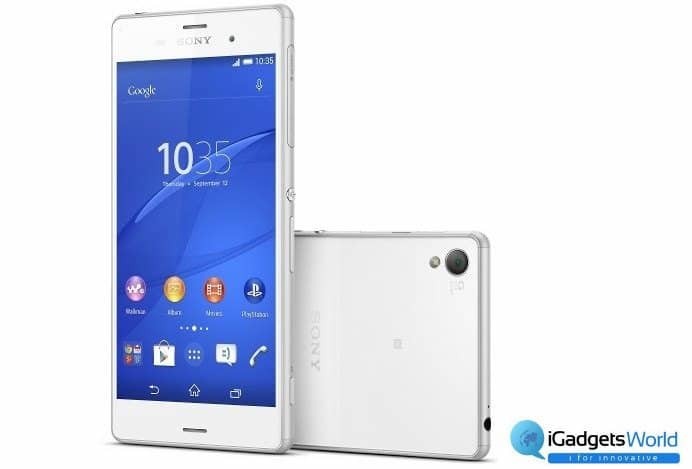 While the Sony Xperia Z3 was not so big upgrade to its predecessor Sony Xperia Z2. With a little big screen, improved processor are some notable features of it. To the main comparison point, the Samsung Galaxy Note 4 packs a 5.7in 2K (25601440) display screen against the Z3’s 5.2in 1080p (19201080) display. Then there is the S-Pen which itself is a great tool to use which we won’t see in Z3. Both the devices feature 3GB of RAM, IP Waterproof certifications, Note 4 features a 2.7Ghz Snapdragon Quad-Core Processor against the Z3’s 2.5Ghz same Snapdragon Quad-Core Processor. More speed, less lag. In the camera section, Z3 has a 20.7MP Exmor RS Camera up against Note 4’s 16MP CMOS Camera. And Sony is known much for it’s cameras and hence it’s expected Z3’s camera to be better than Note 4’s. While these are mainly the notable difference points, the Samsung Galaxy Note 4’s Fingerprint Sensor, Heart Rate Sensor and UV Sensor are notably great features which you won’t find in the Z3. If you love big screen phones, added security, health features and of course the stylus ‘S-Pen’ and also now a generation of “Phablet’s has come too, then Note 4 is definitely for you or else if you love average sized screen phones with superb build quality and camera, then the Xperia Z3 is for you. Whatever it is, tell us which one of these are you going to buy in the comments section below.